As the calendar winds down to the close of another year, we should gather with friends and family to celebrate the bonds that bring us together. Should. Deep inside, however, we’re all greedy little children who just want cool toys and as many cookies as we can jam into our mouths. Catch us on a good day, however, and we will share our cool toys. So in the spirit of Festivus (or whatever observance you, um, observe), The Straight Beef is proud to present our 2018 Festivus Gift Guide, a quick overview of kitchen essentials and nifty tools for the cook in your life. Let’s start big and work down to the stocking stuffers. First up, the mack daddy kitchen accoutrement: the Baking Steel is 15 pounds of kitchen magic. Yes, it is heavy. Yes, it is pricier than your average pizza stone. Yes, it is worth it. 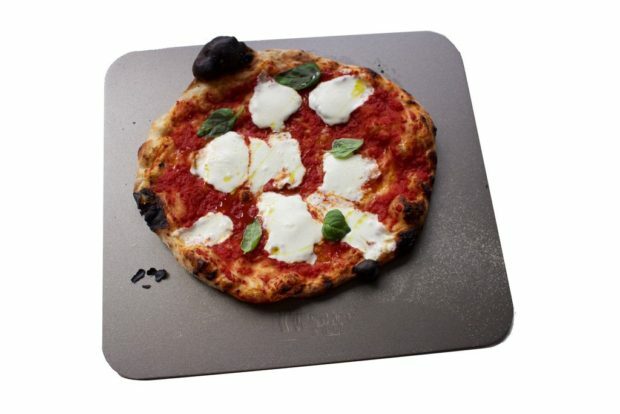 Inspired by the observation in Nathan Myhrvold’s “Modernist Cuisine” that steel is more conductive than a pizza oven’s brick floor, former pizza chef Andris Lagsdin of Stoughton Steel created the Baking steel, a 16” x 14” slab of solid steel that is not only the perfect pizza stone, but works wonders for breads and other baked goods and can double as a griddle for the ultimate homemade smashed burger. Don’t worry about storage. Just keep it in your oven at all times and it will regulate your oven’s temperature for more even cooking, no matter what you’re making. For great recipes that use the Baking Steel, add Baking with Steel to your cookbook collection. 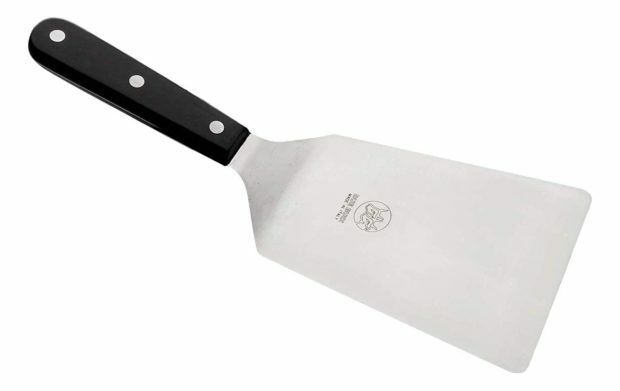 To make those smashed burgers, the Due Buoi Wide Spatula is the ideal tool. The Due Buoi is short, wide and stiff, perfect for burgers on a griddle or in a cast iron pan. Can a spatula make you happy? Yes, it can. Not quite giddy, but pretty darn close. For a first class primer on making smashed burgers (and why you should) see Kenji Lopez Alt’s article Smashed Burgers vs Smashing Burgers. 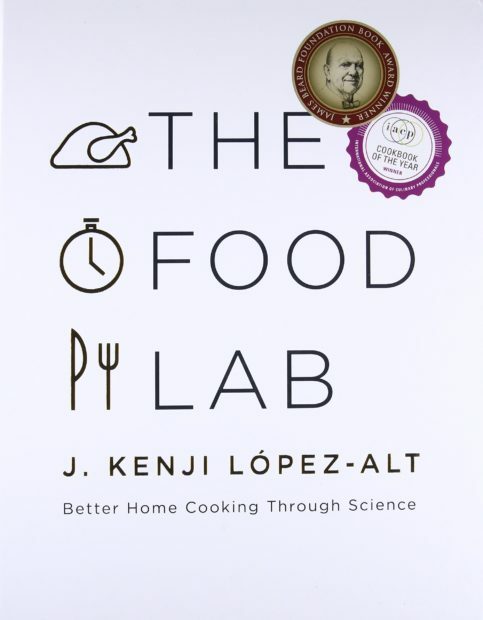 While you’re at it, pick up a copy of Kenji’s The Food Lab: Better Home Cooking Through Science. As Wired said, it’s the ultimate guide for nerds who cook. The burger section alone is worth the cover price. Great cooking is ultimately the art and science of heat management. 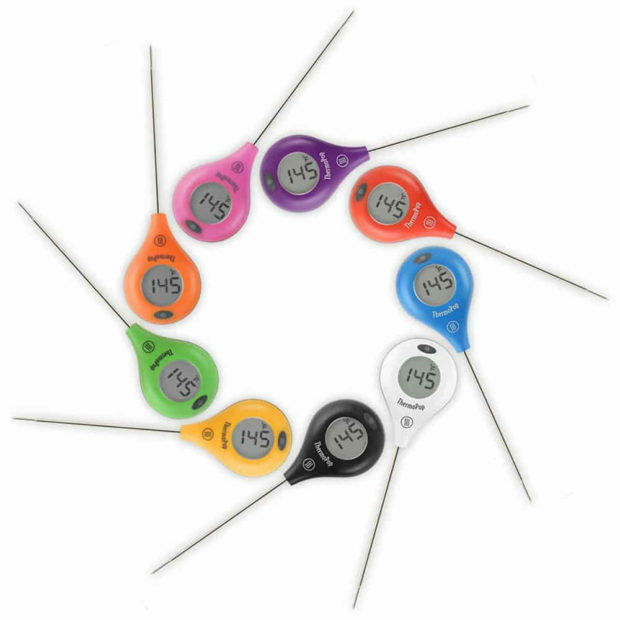 For that you need a Thermapen, the fastest, most accurate instant read probe thermometer available, to satisfy the fanatic in your family (Chad has three, if that tells you anything). For those not quite so obsessive, or if you need a great stocking stuffer, the Thermopop is perfect. No guessing. No confusion. No archaic subjective tests for doneness. You know with absolute confidence that whatever you are cooking is right where it should be, and you know it immediately. No interminable waiting with the oven door open for a dial thermometer to register. The Thermopop is fast, light weight, accurate, and inexpensive. There is a even a discount if you buy five or more. Thermopops for everyone! Continuing the science-y theme, a good digital scale is a must for bakers. Using a digital scale rather than measuring in cups and teaspoons is the difference between using your new high-tech laptop and writing in the mud with a stick. One of the more robust and accurate scales is the My Weigh KD-8000. It works in whatever system you need – ounces, pounds, or pounds and ounces (e.g. 20oz = 1.25lbs = 1lb 4oz), grams/kilos, and baker’s percentages, the method bakers use to weigh ingredients in proportion to the flour weight. That’s just freaking cool. 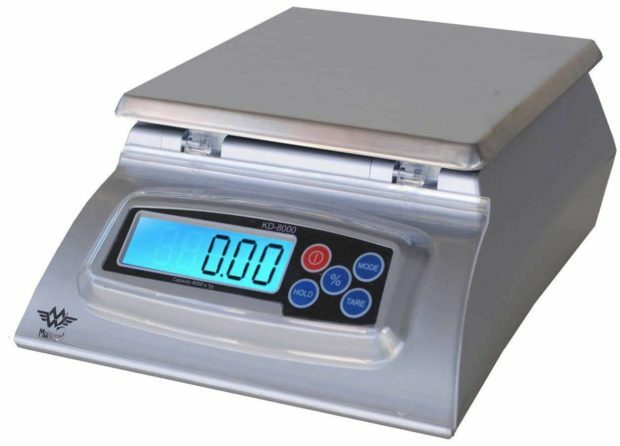 This scale can handle up to 8 kilos or 17.5 pounds of ingredients with 0.1oz accuracy. Taking up significantly less counter space, the EatSmart Precision Pro kitchen scale is a great alternative. 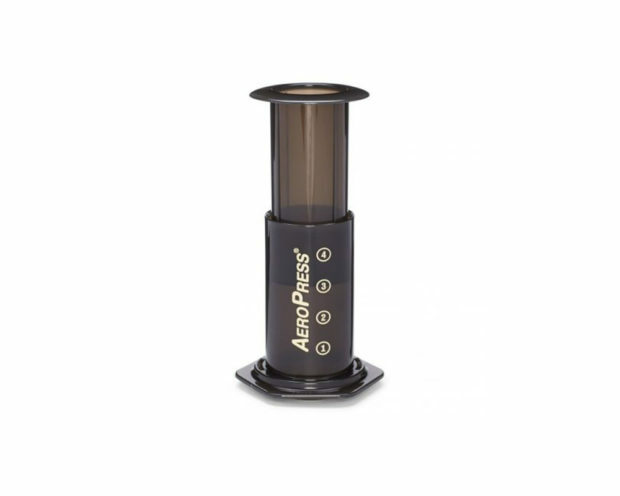 If you really enjoy a good cup of coffee, and want it RIGHT NOW, the Aeropress is a godsend. Think portable, unbreakable French press and you have the idea. The cylinder-plunger-filter arrangement extracts the coffee under pressure, and while it’s not espresso machine levels of pressure, it does produce a rich cup of coffee in about a minute. Great for travel and camping, too. 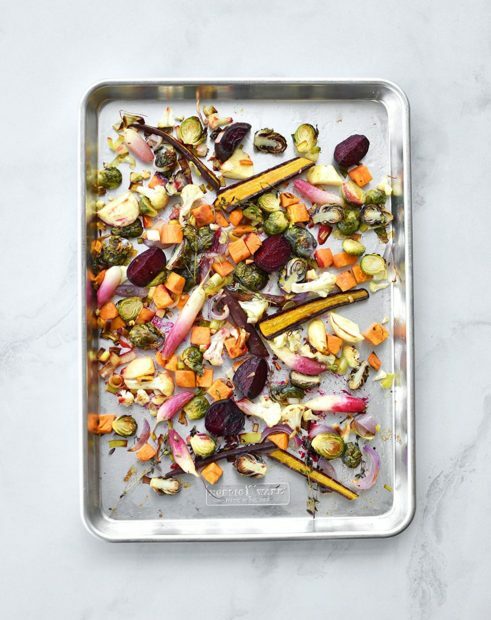 A residential oven won’t fit a full size sheet pan, but 1/2-sheet pans are just about perfect. Add in a non-stick Silpat baking mat and a fitted wire rack and you’ve got an unbeatable combination. The Silpat makes cleanup amazingly simple. Nothing sticks to it, so even problematic items like Parmesan crisps (frico) release easily. It can withstand temperatures up to 480° and can be reused thousands of times. A simple wipedown after use is usually all it needs. The wire rack is sold as a cooling rack, and it’s fine for that too, but the real magic comes when you use it to make bacon in your oven. Yes, in your oven. Lay your bacon strips on the rack in the sheet pan, slide the pan into a cold oven and set the temperature to 400°. Set a timer for 20 minutes. Flip the bacon when the timer goes off and bake for another 15 to 20 minutes or so. Done. Your bacon stays flat, is perfectly cooked, and has conveniently drained all of its grease into the sheet pan below for easy disposal. You are a freaking genius. As an added bonus, it is hands-off and frees the stovetop for everything else. Often called a tomato knife or a deli knife, an offset serrated knife is an indispensable kitchen tool. 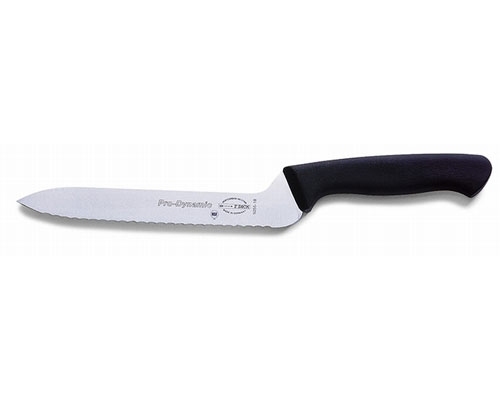 The 7” version is a solid utility knife while the 9” version is a bit more versatile and can double as a bread knife. See, it’s not all burgers all the time at The Straight Beef. We cook (or con people into cooking for us). Some of these gift ideas may seem oddly practical, but for cooks, good tools make the difference between struggling in the kitchen and having fun. Now, on to the feats of strength.